I-81 to Pennsylvania Exit 37. Travel south on PA-233 for 8 miles. At the “T” intersection stop sign, turn LEFT onto Pine Grove Road, a/k/a Hunters Run Road (SR3008). Travel 200 feet and turn RIGHT into the Fuller Lake parking area. Please obey the speed limit. It is 55 mph for the first mile, then 40 mph for the last 7 miles, so allow yourself 15 minutes to drive from I-81 exit 37 to the Fuller lake parking lot. From the parking area to the registration table and starting line events is a 5 minute walk from the Fuller Lake parking lot. Walk past the gate at the end of the entrance driveway to the parking lot. Before the bridge over the stream (Mountain Creek), turn RIGHT onto the Appalachian Trail. Follow white blazed, black-topped walkway to registration at the Furnace Stack Pavilion – about 2/10 mile. Restrooms are located near the pavilion. Registration. All hikers must sign-in on the day of the Challenge and receive a number to pin on the front of their shirt. No new registrations will be accepted on the day of the event. 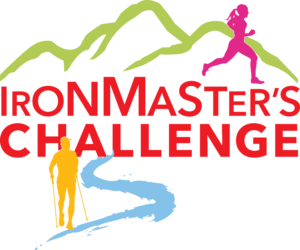 The Ironmaster’s Challenge – Registration for the 50K Ultra begins at 6:30 am with a 7:30 am start time at the Furnace Stack Pavilion. For the 15K, registration begins at 8:00 am for a 9 am start time at the Furnace Stack Pavilion. NOTE: ALL EVENTS END AT THE IRONMASTER’S MANSION!!!!! You can stay at the Mansion for only $25 per night, or $30 per night including an evening meal. This is a dorm-style accommodation with wooden bunks in two large rooms separated by gender, providing a total of 28 beds. For the location, comfort and price, you can’t beat it! Check it out! For reservations or information, please call 717-486-4108 or e-mail us at ironmasterspinegrove@gmail.com. See website for more details, www.ironmastersmansion.com. Tent and trailer sites: 70 tent and trailer sites are available year-round. The campground has drinking water, flush toilets, and a sanitary dump station. Pets are permitted on designated sites for a fee. Paymasters Cabin: This historic house is available for rent year-round. It has a modern kitchen, dining room, living room, bathroom and three bedrooms that sleeps six people and is near the camp store. Guests should bring all essentials like sheets, linens and dishes. Modern cabin prices apply. Mountain Creek Campground http://www.mtncreekcg.com/ – It has all the amenities one could possibly imagine for a campground. For More information about Reserving a Camping Space Click Here.